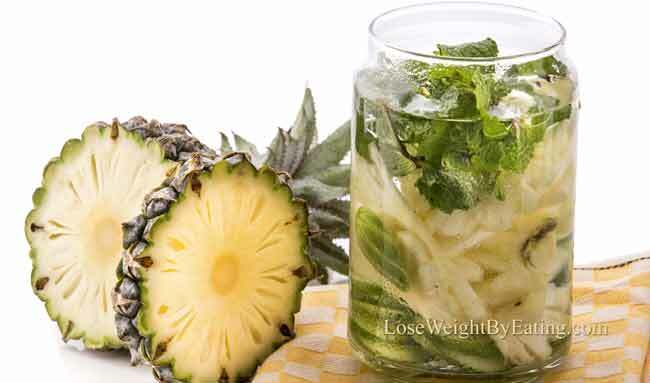 This delicious Pineapple Water with Cucumber and Mint Recipe will naturally boost your metabolism and reduce bloat! It’s a great detox drink to start your day with, or make a bottle full and take it with you for an all day treat. 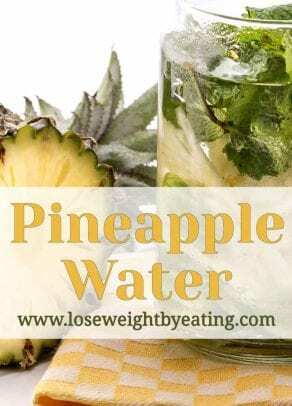 Pineapple is a great metabolism booster, and it’s full of healthy vitamins and antioxidants like Vitamin C. I especially enjoy the sweet tart taste that the pineapple provides, and it pairs nicely with the mellow flavor of the cucumbers. Mint is good for a whole lot of things, including better breath and treatment of digestion issues, It’s also a great source of anti-inflammatories and antioxidants. Special Tip: Pineapple cucumber water is perfect to take with you and sip all day as a delicious hydrating treat. To make it easier to take on the go, check out our Recommended Fruit Infused Water Bottles or see our list of the Top 5 Best Seller Fruit Infused Water Bottles. With one of these fruit infuser bottles, you can refill the water over and over again and the flavor of the pineapples and cucumbers will still infuse into the water. 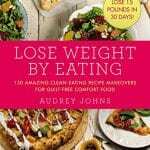 It’s worth the $10-20 investment in your health! Makes 1 liter of Pineapple Water with Cucumber and Mint. 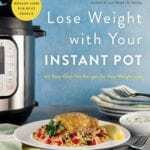 Add the pineapple chunks, cucumber rings, and mint leaves to the bottom of a pitcher. Top with ice, this part is important whether you enjoy your water cold or at room temperature as it holds down the fruit to better infuse the water. Place the pitcher in the fridge, or on your counter top if you like room temperature, for one hour before serving. When you have poured ½ of the pineapple water from your pitcher, fill back to the top with water. This will help preserve the flavor so you won’t have to start over again when you finish the pitcher. Fill up, up to 6 times in a day, or until the flavor of pineapple is lost. 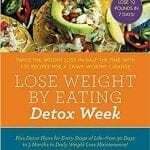 Freeze cubed pineapple and cucumber slices and drop them in water and bubbly water anytime for a delicious and sweet cucumber detox water drink. Store Pineapple Cucumber Water and Mint in your fridge for 24 hours.